Have you ever wanted to ride in a person-sized bucket, not over niagara falls – but up into the sky? Probably not, but someone somewhere did have that vision and created the bucket truck. Most people only see bucket trucks when there’s a downed power line – it’s a quicker and safer way to fix a blown transformer box than shimmying up a power pole with spiky boots and rope. You’ll also hear them called “cherry pickers” by those who don’t speak electrician’s lingo. 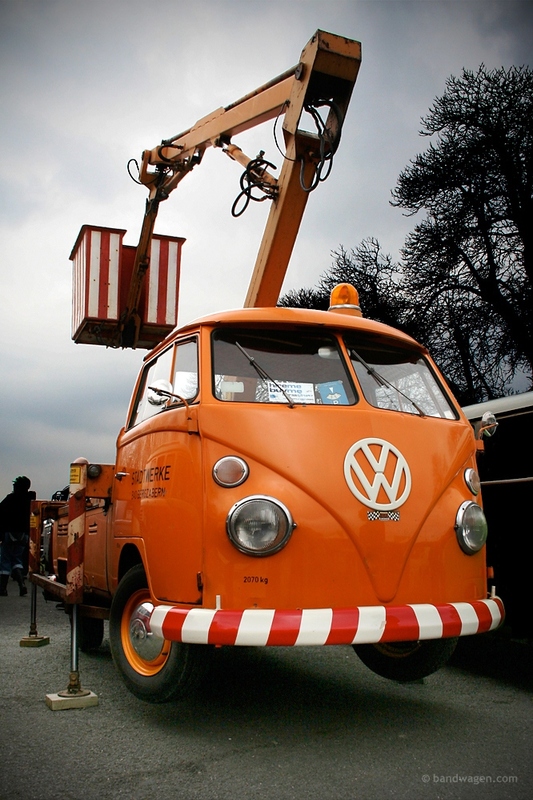 This is the “girl next door” of bucket trucks — attractive yet attainable. 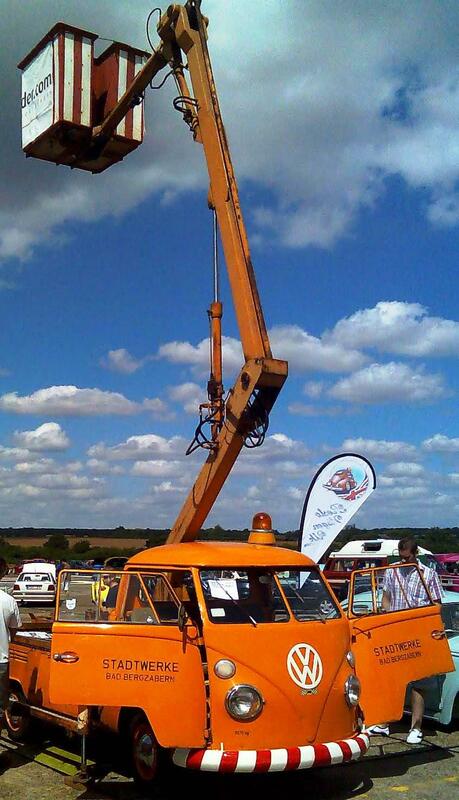 It’s one of the most affordable bucket trucks ever sold. This truck combines 2 of my favorite things – Volkswagen camper vans and the ability to tower over an entire neighborhood. It isn’t some garage mod either – this is a legitimate limited run volkswagen model costing roughly double of the standard base M118 Volkswagen pickup. Imagine having a cherry picker for the cost of 2 pickup trucks. You couldn’t just waltz onto the VW showroom and pay cash for one of these though, you had to order them special straight from Volkswagen. That’s why so few were ever made, and far fewer still remain in this pristine condition. So unless you’ve got a ticket back into the 60’s, forget about owning one, they’re rare collectible antiques nowadays. Cover photo credit to the best photography blog around, Bandwagen Volkswagen Photography. When I hired someone to do some tree work, one condition of the job was that I could go up in the bucket!